Here are just a few of the activities and places to visit during your stay at Lydgate Farm. Whether your ideal holiday is gentle strolls and shopping in quaint market towns or more adventurous, the Peak district can offer it all and with our wealth of local knowledge, we will be happy to help you plan your perfect getaway. 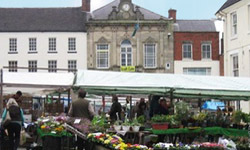 Our closest town, Ashbourne is one of Derbyshire’s finest old market towns, combining a medieval street pattern and historic buildings with a wealth of high quality shops and resturants. The cobbled market place, hidden alleys and yards are a delight to explore, and the wide and elegant Church Street is considered to be the finest street of Georgian buildings in Derbyshire. Carsington Water is a local centre for outdoor activities such as sailing, canoeing, windsurfing and Kayaking - there is a sailing club active next door to the Visitor Centre, and there are many opportunities for walking and cycling around the reservoir and the surrounding villages. Cycle hire is available and there is plentiful car parking. For young children there is a children's playground near the visitor centre. Carsington is also a popular location for birdwatchers with plentiful wildlife and various bird hides around the water. 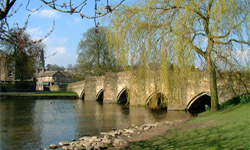 Bakewell is a beautiful market town situated on the River Wye which is crossed by a 13th century 5 arched bridge still open to traffic. The town has a large open air market on a Monday and once a month on a Saturday there is a farmers market where you can purchase a variety of locally grown produce including, meat, cheeses, mushrooms and wines. The town has a wealth of small shops, cafes and restaurants making it well worth a visit. Probably one of the finest country estates in the UK. 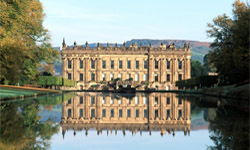 Chatsworth is a working estate and receives many thousands of visitors each year. Visitors can enjoy, the spectacular house with it's artworks and treasures, stroll through the beautiful landscaped gardens, take a longer hike through the estate to the hunting tower or just peruse the shops and enjoy a meal in the the restaurant. Numerous events take place each year at Chatsworth including the Horse trials and the highlight of the year, the Chatsworth Country Game Fair. 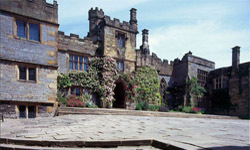 The very beautiful Haddon Hall is a fortified medieval manor house dating back to the 12th century, Haddon feels like it has been frozen in time giving you a real view of medieval life. After your tour of the house, relax in the licensed restaurant which is situated in the 17th Century stable block, with views over the River Wye. The Gatehouse gift shop stocks a range of beautiful gifts including items from local artists and crafts people made exclusively for Haddon Hall as well as books that relate to the history of the Hall and the interests of our visitors. Matlock bath is built alongside the River Derwent in a steep and beautiful gorge and was extremely fashionable and prosperous in the nineteenth century with its spectacular scenery, shops and spa. Matlock Bath has enjoyed a resurgence over the past few years with cafes, bars, museums and the spectacular scenery sitting comfortably along side each othe. 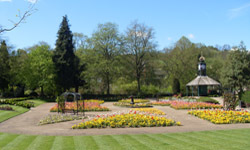 Historic Matlock Town is also worth a visit for its shops, quaint café’s and restaurants all flanked by stunning scenery. 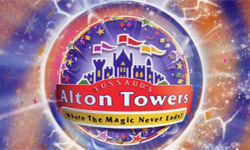 A great day out for all of the family, Alton Towers is the UK’s leading theme park, offering as it does an unrivalled selection of attractions for the whole family to enjoy together.